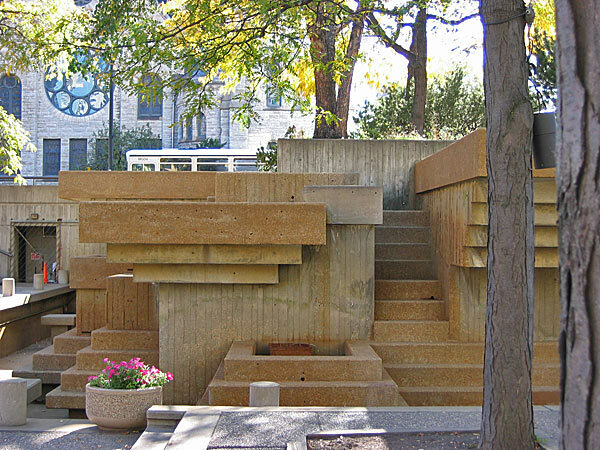 The plaza contains many design elements from Friedberg’s earlier Riis Park Plaza, recognized also in his later design for Pershing Park. 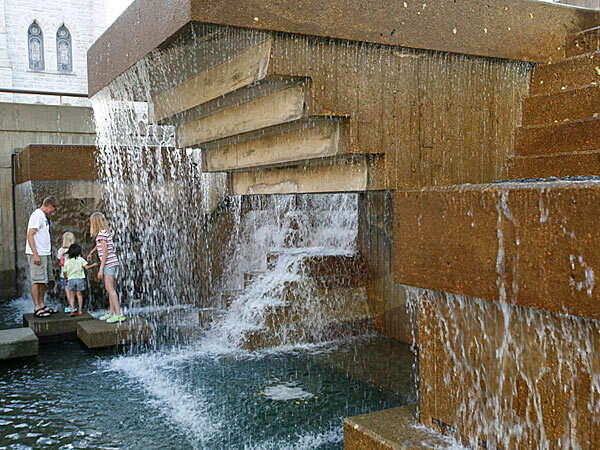 These include amphitheater-style seating oriented around the sunken plaza which also served as a pool basin (filled with water during the summer or frozen in winter for skating), cascading and spraying fountains to animate the space, lawn terraces, and many sculptural objects. 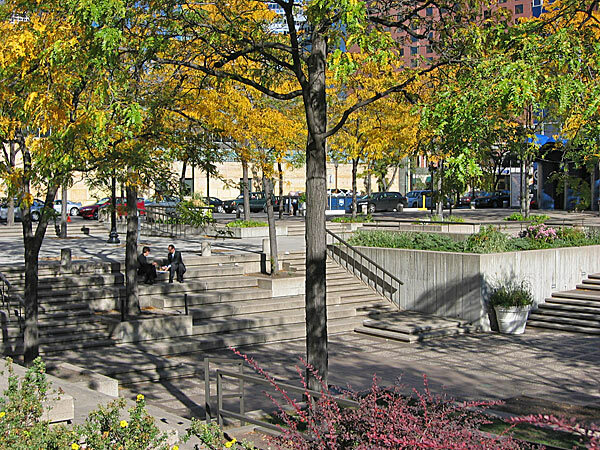 The plaza affords ample opportunities for large- and small-scale gatherings. 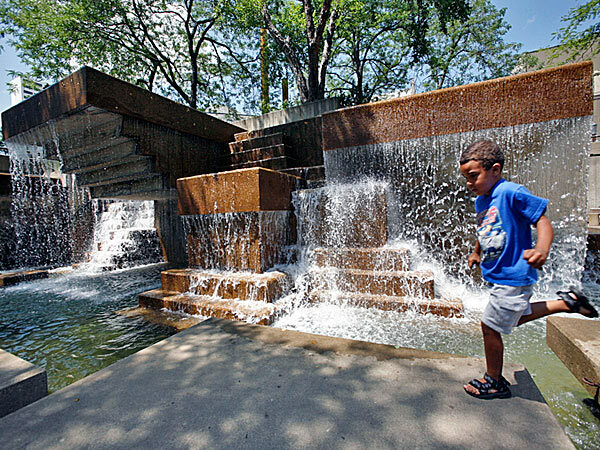 The cascading fountain adjacent to Nicollet Avenue feeds the sunken pool while creating an inviting visual link to the Mall. 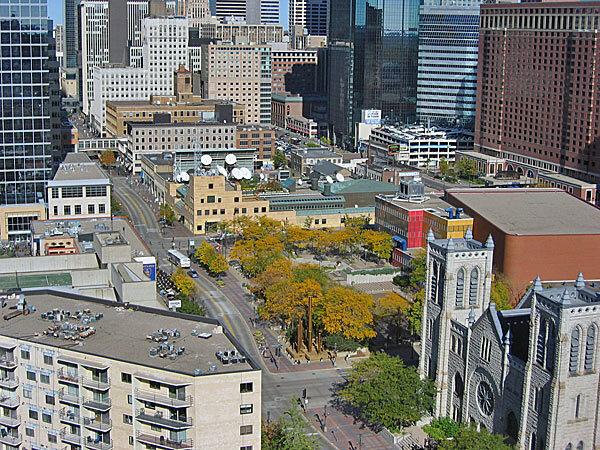 Just a couple of blocks south of Peavey Plaza, on the opposite side of the mall, lies Loring Greenway, completed by Friedberg the following year. 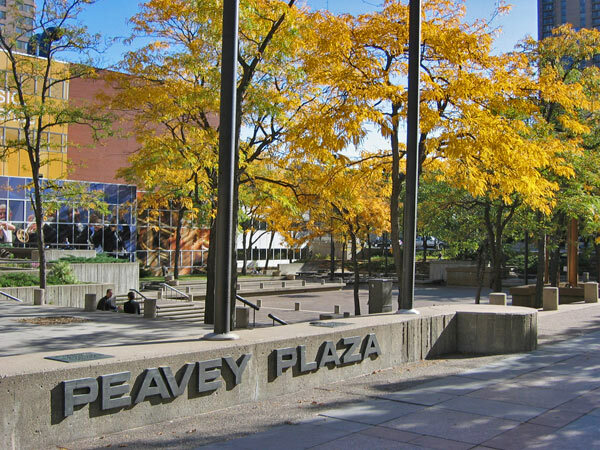 Peavey Plaza was listed in the National Register of Historic Places in 2013.